I eat a Paleo diet, and right now I’m being rather strict about it: no grains, no dairy, no sugar, and lots of healthy meat and veggies. My energy levels are good! My nutritionist, Olivia Honeycutt, tells me how good it is to eat liver. I’m pretty sure it was not one of my favorite childhood flavors (actually, my dad didn’t like it so my mom didn’t cook it, but she — having grown up on a ranch where they raised a lot of their own food — liked it). As an adult I tried liver and onions and came to like it enough to eat occasionally, but not very often. Imagine the boost in vitality you’d feel from eating 3 or 4 ounces! You can also see why hunter-gatherer people, when they made a kill, considered the liver to be the most desirable part. It has about 500 different functions. It stores fat-soluble vitamins A, D, and K as well as vitamin B12, copper, and iron. It filters the blood and contains enzymes and anti-oxidants that neutralize toxins into forms that can be excreted. It synthesizes and metabolizes proteins. It helps metabolize fat and synthesizes blood clotting factors. It breaks down hormones. As seen above, it’s loaded with nutrients. The only drawback, if you have issues with it, is its 53% cholesterol. There is controversy about the role of cholesterol in health. This post by Dr. Mercola sheds some much-needed light on the topic. I’ve fallen in love with making liver patés at home and have tried a few recipes. I enjoy that taste of chicken liver more than beef or pork liver, which are much stronger. I also have a good source of liver from chickens raised responsibly, and that’s the liver I prefer to cook and eat. I love Diane Sanfilippo’s recipe for chicken liver paté, which has a wonderful tangy, peppery flavor that complements the sweetness of the liver. The tangy and peppery qualities come from using vinegar (I substitute 3 oz. apple cider and 1 oz. balsamic vinegars for the red wine), prepared Dijon mustard, and 2 T of Tellicherry peppercorns. (I use whole peppercorns and run it through the Vitamix, which pulverizes them well.) I also substitute ghee and/or coconut oil for the butter. Liver is inexpensive. The livers I used today cost only $2.99 per pound, so it’s super-economical. I often get a couple of pounds and double the recipe so I can freeze some and/or take it to potlucks, where it gets eaten quickly (unless a lot of vegetarians are attending). Paté is one of those foods that people think are luxurious, difficult, expensive, and time-consuming to make, and the reality couldn’t be further from the truth. 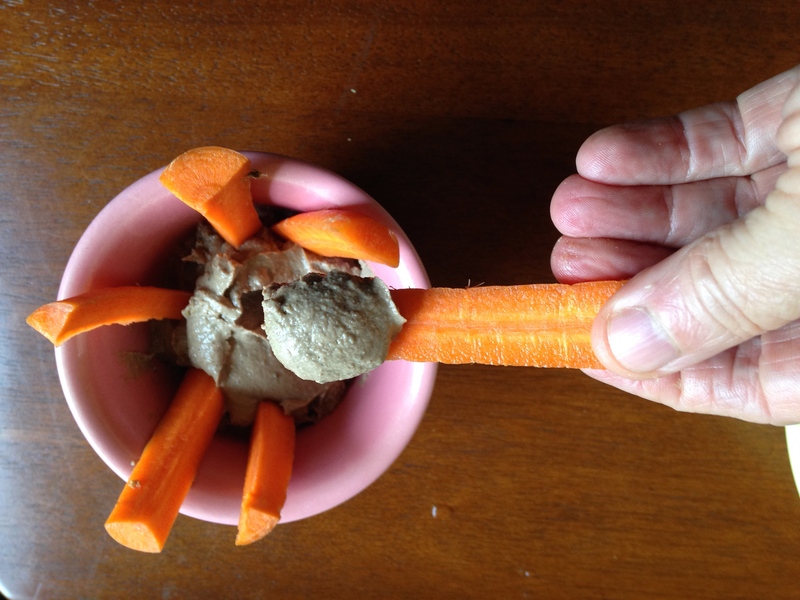 This entry was posted in body, food and tagged chicken liver patê, Diane Sanfilippo, Dr. Mercola, flavor, health, hunter-gatherers, liver, nutrients, nutrition, Olivia Honeycutt, Paleo diet, paté, vitality, VitaMix by MaryAnn Reynolds. Bookmark the permalink. Where do you get your organic livers? I’m in N. Austin. I get them at Wheatsville Co-op. They’re from Dewberry Farms. They are highly in demand and sell out quickly, so you might want to call the store and have them hold some for you or at least tell you when Dewberry Farms delivers. Whole Foods also carries organic chicken livers, for about twice the price of Wheatsville’s. A friend told me that Costco sells a two-pack of whole organic chickens with livers, so that’s another option.